Technology can help solve our problems, but not always. Problem solving is a dominant form of how we think and one of our most complex intellectual activities. It’s a core part of what makes us human. When experts are paid to solve problems. While we all solve problems, managers and consultants are professionals—they’re hired and paid to do so. Iconoclastic management scholar Henry Mintzberg, one of the first to study what managers do, found they spend much of their time solving problems. Leadership consultancy Zenger Folkman recently surveyed over 300,000 managers and found that problem solving was the second most important competency, regardless of function or level. Within their domain, experts have advantages. Research has found that for problems within their domain of expertise, experts have advantages over novices: they can better recognize and understand issues, often by using analogies to past problems. Experts use more effective problem-solving strategies in their areas of expertise, more carefully evaluate potential solutions against constraints, and more effectively monitor their problem-solving progress by refining solutions. These advantages explain why seasoned tax accountants, when compared to novice accountants, can more readily draw on their understanding of tax law and accounting conventions to solve a particular client’s tax problem. They also explain why a lean manufacturing expert can walk into a manufacturing plant and quickly spot opportunities to increase efficiency by reducing work-in-process inventory that plant employees missed. Outside of their domain, experts make problems worse. Though experts are better problem solvers than novices within their areas of expertise, when they tackle problems outside their expertise—or when conditions in their fields change—they often perform like novices. Or worse. Experts’ rich and detailed mental models often constrain their ability to understand problems and search for solutions when working in new territory. Mental models are rigid and resistant to change, particularly when associated with successful outcomes. In other words: experts become trapped by their expertise. Psychologist and Rice University professor Erik Dane finds that the more expertise and experience people gain, the more entrenched they become in a particular way of viewing the world. Compared to novices, experts are overconfident in their ability to understand problems outside their expertise, leading them to develop worse solutions. In situations that seem familiar, expert performance is poor. Reasoning by analogy also leads experts to develop poor solutions when faced with new-but-seemingly-familiar situations. The process can be summed up like this: “I’ve seen something like this before, so what worked there may work here.” While analogical reasoning can be a valuable source of insight and creativity, it can lead to poor solutions when problem solvers develop analogies based on superficial similarities instead of deep, causal traits. Think like a consultant.Consultants aren’t immune to bias, but, as outsiders, they don’t have a vested interest in solutions and recommendations. Being neutral doesn’t eliminate biases, but it does minimize the political and financial pressures that make them worse. Work in teams.Consultants work in teams and are trained to challenge each other. The core values of top consultancies, for instance, include a “non-hierarchical atmosphere” and the “obligation to dissent.” These guiding principles help ensure that colleagues will call out team members who may be blind to their own assumptions, worldviews, or long-held beliefs. Practice PSAC. The Problem-Solving Approach of Consulting (PSAC) teaches consultants to follow a disciplined process for all problems. First, develop a well-specified statement of the problem. Next, use theoretical frameworks and logic to structure the problem by decomposing it into all possible solutions. Third, conduct analyses of the potential solutions to identify the most impactful and feasible option. Finally, sell the solution to stakeholders by starting with the recommendation followed by the supporting rationale for it. These safeguards don’t guarantee that experts won’t fall prey to the numerous pitfalls of problem solving. But they do greatly reduce the risks and increase the chances of coming up with valuable solutions. Following these practices can help you become top in your field. 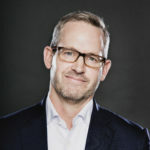 Author: Corey PhelpsCorey Phelps is a Professor of Strategy and Associate Dean of Executive Education at McGill University. For over 20 years, he’s conducted award-winning research on corporate growth and traveled the world as a keynote speaker, corporate trainer, and consultant, helping organizations become more innovative and strategically agile. He is the co-author of Cracked It! How to Solve Big Problems and Sell Solutions like Top Strategy Consultants. Learn more at cracked-it-book.com.